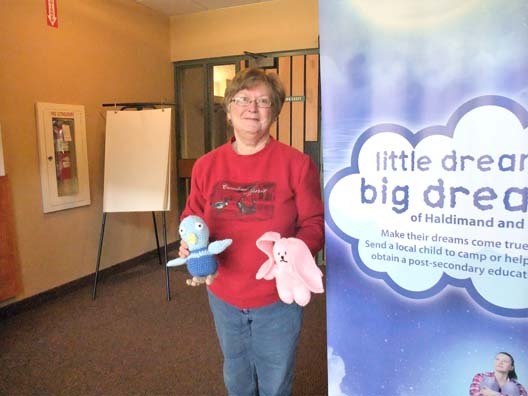 Generous knitters and crocheters continue to help “Warm Up Haldimand” with their hand-made creations. A new supply of hats, mitts, slippers, sweaters and stuffed animals was dropped off at the Children’s Aid Society on March 22, 2017 by Betty Carpenter (shown here). These items are made available at the office and distributed to local children and families in need. Thank you to this generous group for their ongoing support and kindness.